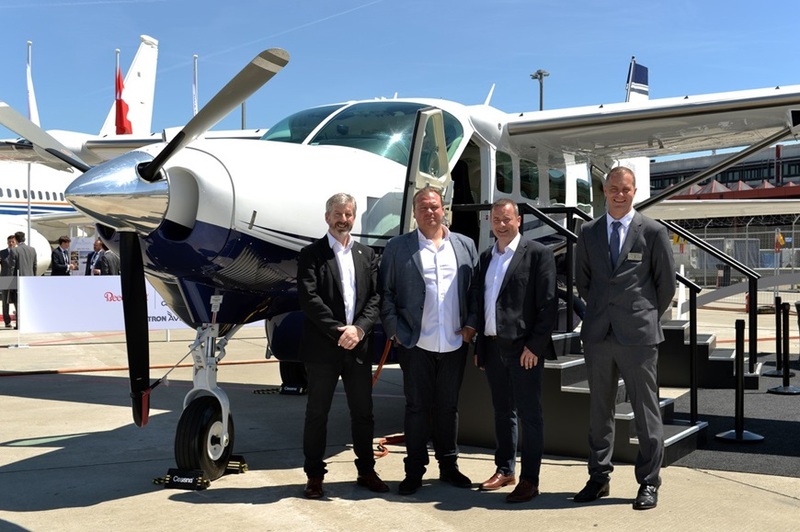 A new air taxi company Waves Technologies, based at Guernsey UK, recently announced that it has selected the Cessna Grand Caravan EX as the aircraft that it will operate between the Channel Islands. The company is about to take delivery of the first of 3 Grand Caravan EX. Their service will commence in August of this year. On the Waves Technologies website they promise to offer "... affordable, fixed-price flights to Guernsey, Jersey, Alderney, Northern France, and South England." and "... a service that moves with the times and embraces the fast evolving new technology available to all of us." The company will be competing with local airlines with competitive pricing and better service. Textron Aviation, owner of Cessna Aircraft Company, expects many more orders of the Grand Caravan EX in the coming years due to a new European rule allowing commercial air transport companies to use single-engine turboprops in IMC.